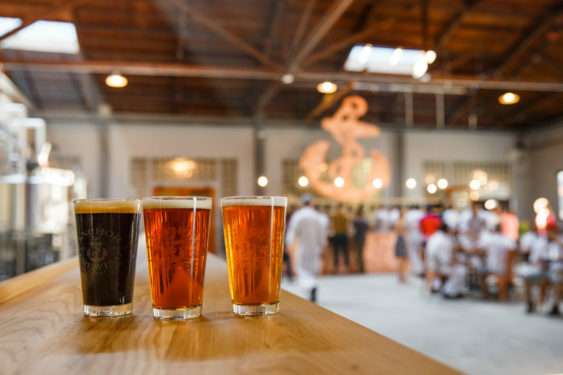 It’s been one year since Anchor Public Taps rolled up its door, inviting beer fans from near and far to come in for a one-of-a-kind San Francisco experience. Since then, innovative beers brewed, countless pints poured, fun events hosted were seen, and a wonderful community form. Join the Public Taps’ 1st Birthday Party. They’re rolling out all the classic party stops with an adult-spin including a piñata, face painting, balloon twisting & more. Plus, enjoy $3 Anchor Steam pints. There will be complimentary Anchor Steam Cream from friends at Humphry Slocombe, while supplies last. Enjoy it on the side or combine it with Anchor Steam Beer to make a beer float. DJ Sake One will be on deck spinning tunes to keep the party going. Dancing encourage.